This is an extended tutorial that builds on top of @loopback/example-todo. This tutorial demonstrates how to create a set of APIs for models that are related to one another. It should be noted that this tutorial does not assume the optional geo-coding step has been completed. Whether the step has been completed or not, the content and the steps listed in this tutorial remain the same. 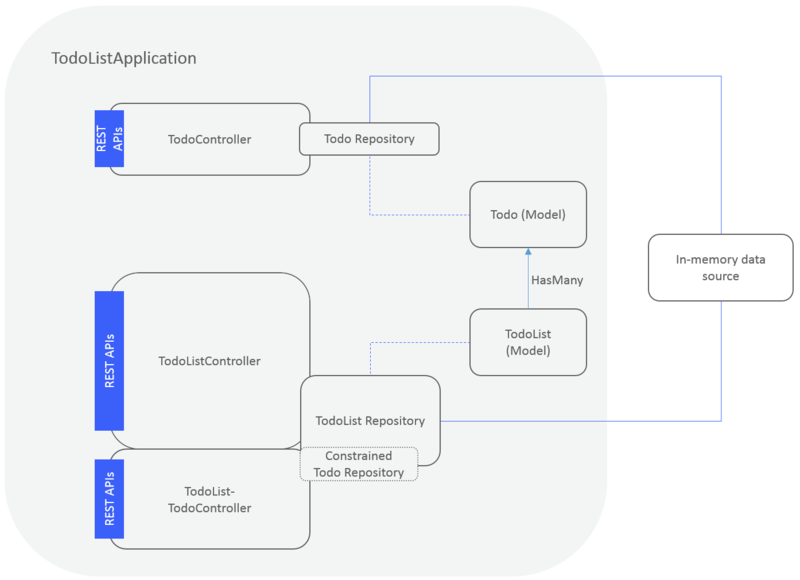 todo: Tutorial example on how to build an application with LoopBack 4. ❯ todo-list: Continuation of the todo example using relations in LoopBack 4. Feel free to look around in the application’s code to get a feel for how it works. If you’re interested in how it’s been built or why we do things a certain way, then continue on with this tutorial! Open an issue in loopback-next and we’ll take a look!